Monkeys as Santa's little helpers? Everyone can agree this fun design of monkeys clad in Santa hats and surrounded by candy canes, presents, and ornaments is absolutely adorable. 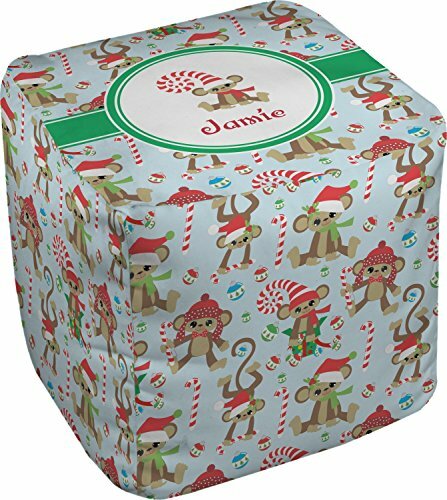 The ribbon and label are green, and the label includes a little monkey, ready for the holidays, along with your name or text for personalization.